Jann Balmer was appointed as the first full-time Director for Continuing Medical Education of the University of Virginia School of Medicine in December 1990. In her role as Director for CME, the Office of Continuing Medical Education has demonstrated significant growth in meeting the educational needs of physicians and other healthcare professionals. Over the past 20 years, the number of accredited CME activities has grown to a yearly average of 220 activities. Dr. Balmer is a nationally recognized authority on continuing medical education via print, Internet, and CD-ROM formats, and has numerous publications in the field. Dr. Balmer served as the President, Past President and Board Member of the Alliance for Continuing Education in the Health Professions (formerly Alliance for CME) from 2005 -2012. Dr. Balmer also serves on the Board of Directors for the Global Alliance for CME, and as the Chair of the Program committee. She represented the Alliance as a Co-Chairman for the 1st China International Conference on Continuing Medical Education. She also serves as a speaker at the Annual Meeting of the Alliance for Continuing Education in the Health Professions, The Association for Medical Education in Europe (AMEE), and other continuing meetings such as the CME Industry Task Force Meeting, the CME Congress and other selected organizations. She served as the editor for the Best Practices in CME Handbook distributed by the Alliance for CME for 7 years. Dr. Balmer was actively involved as a volunteer for the Accreditation Council for Continuing Medical Education from 1993-2005. She served on the Accreditation Review Committee from 1994-2000, serving as vice chair in 1998, and chair in 1999 and 2000. Dr. Balmer was named the 2003 Willard M. Duff, PhD Award for exemplary and long-term service to the ACCME and also awarded the Robert Raszkowski MD PhD ACCME Hero Award in 2007. 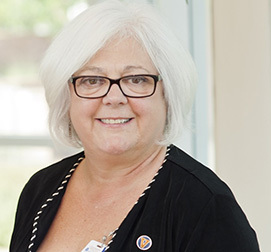 She currently serves as the Chair of the Commission for Accreditation for the American Nurses Credentialing Center (ANCC) and was inducted as a Fellow of the American Academy of Nursing in 2017. Dr. Balmer holds a Bachelor of Science degree in nursing from the University of Pittsburgh, Master of Science in child health nursing from the State University of New York at Buffalo, and a Ph.D. in higher education administration from the University of Pittsburgh. Prior to accepting her present position, Ms. Balmer served as Nurse Clinician, Division of Pediatric Cardiology, University of Virginia Department of Pediatrics (1985-90); Staff Nurse, Pediatric Unit, University of Virginia Medical Center (1984-85); and Assistant Professor of Nursing Undergraduate Program University of Pittsburgh School of Nursing (1980-83).